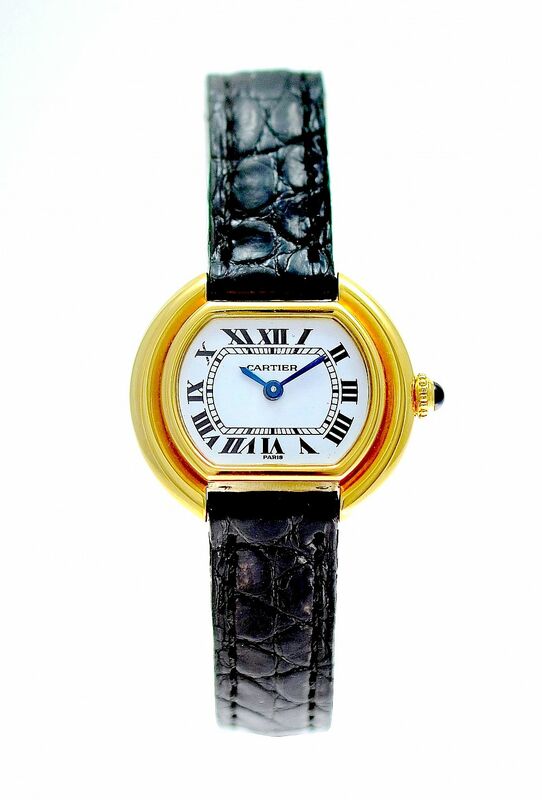 A c.1970's Cartier 18K ‘Elipse’ wristwatch. The watch is a 17 jewel Cal. 2412 manual wind movement with a cream dial & black Roman numerals bordering inner minute track, subsidiary 'Baton' blue steel sword hands, polished oval stepped case.